Wisdom teeth are the last molars at the back of your jaw. There are normally one in each corner. However, some people have less than four and a small number of people have none. They usually erupt between the ages of 17 -25. It is unfortunate now that some people have their wisdom teeth extracted as there is simply no room for them to erupt!!! Pre-historic man had room but his diet was not as processed as modern man. Pain – Pressure from the wisdom tooth may cause pain. This is usually the most common symptom. Over time , this constant pressure could possibly lead to the second molar roots ‘eroding’ which will lead to untreatable tooth decay as it is too deep down for the dentist to repair and therefore leading to the eventual loss of the second molar tooth. Crowding – Impacted wisdom teeth means they have developed at an angle and will not erupt straight. There can be damage to adjacent teeth when the wisdom tooth are malpositioned. Infection – When a wisdom tooth starts to push through the gum an infection can start at the top of the tooth. Partially Erupted wisdom teeth means they will not come through the gum line. If this is the case the surrounding tissue becomes chronically irritated and inflamed. This condition is called ‘pericoronitis’. If this condition is left untreated, then it can lead to a serious infection which may involve the second molar teeth and these teeth may also need to be extracted. Antibiotics are usually prescribed which help with the infection but this is only a temporary solution. Dental Cysts and tumours- Another reason for the removal of the wisdom teeth is that studies have shown dental cysts and/ tumours may develop around untreated impacted wisdom teeth. These dental cysts and tumours could possibly cause major destruction of the surrounding jaw bone which then leads to a high risk of the jaws fracturing. A Food Trap – Food becomes trapped between the wisdom tooth and the adjacent tooth. This makes it hard to clean the area and can cause cavities in the area. Patients often wonder if they need to have their wisdom teeth removed. If a patient feels any of the above mentioned symptoms then it would be a good idea to see their dentist for an exam. If there are no symptoms then the next time you are at the dentist, ask them to examine your wisdom teeth. There is no single right answer for everyone; however, if it has been advised that your wisdom teeth look potentially problematic it’s generally best to remove them sooner rather than later. This advice is based on the fact that the younger you are, the faster you heal. Also the roots in younger people have not fully formed so the tooth is easier to remove. The likeliness of lingering numbness, jaw fracture or other complications also increases with age. Lastly, the longer you leave a troublesome wisdom tooth in your mouth, the longer it has to cause further problems in the future. The costs vary depending on whether a dentist or an oral surgeon performs the procedure. It also depends on whether it is an upper or lower tooth, the difficulty and time required for the procedure. It also depends whether you wish to have the wisdom teeth removed under local anaesthetic or general anaesthetic where they put you to sleep. 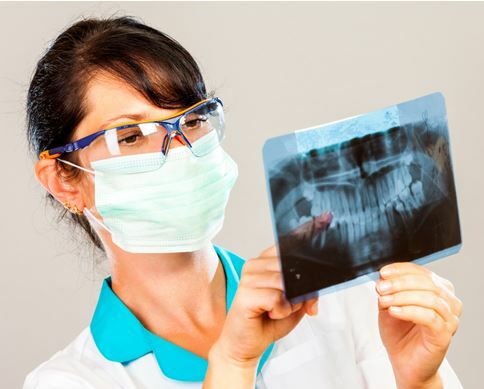 The dentist will be able to give you a quote after they have reviewed your OPG X-ray. You may also claim a rebate from your private health fund directly from the dental office.